Good morning! Today I want to show you another of Tammy Tutterow's beautiful cling stamps, this one called Flower Swag 5. I love everything about this one, and went a little bananas playing with it - I have 3 cards for you today! I love that this can be stamped in any orientation, to accomodate any kind of sentiment! It's unusual to see sentiments that are vertical, so I chose this retired one and framed it with 2 of the swags. Next, I turned the "sketch" 90 degrees to use a horizontal sentiment, and did a little fussy cutting after everything was stamped and colored. 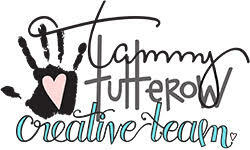 Be sure to visit Tammy's blog to see what my team-mates made with more of Tammy's products! 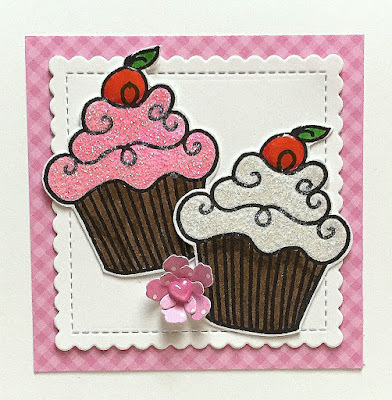 Our theme this week is Anything Goes, and we're playing with Newton's Nook goodies! You don't have to use them to enter our challenge, but if you do have any of their products, we'd love to see what you make with them! I thought this little duck and especially the sentiments in this set would be a useful to have. This time I kept things pretty simple for my design, using a new window die also. My stamped panel is one layer, but I tried to make the flower stand out by edging it with a pale grey marker, and adding some wink of stella glitz to it. I knew I wanted to use a stencil behind it, and I guess Sveta's example this month influenced me, as I chose this splatter one, inking through it with sapphire ink, after masking my flower and leaves. I think I've found a New Favorite! Yesterday I received a new Altenew stamp set called Garden Treasure, and I'm in love! Here's the first card I made with it, using only the large flower and leaves. This flower is 4 layers, and they are really easy to line up, even the tiny stamens! I used my Altenew inks to stamp the layers, then cut them all out and arranged them above an old favorite sentiment, sadly retired. I popped the pink flower above the rest, and left the background CAS, no bells and whistles. I wanted to show off these beauties all by themselves. I rarely share more than one picture of my card - when I do make that exception, it's because I really love the results. Thanks for stopping by today - I hope you have a lovely weekend! My Simon Card Kit arrived this afternoon, and I had a play with the animation stamps and grid line acetate paper in it that makes the stamps appear to move. 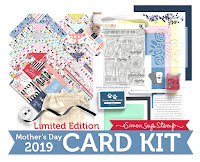 The stamp set this month is exclusive to this kit only. When the grid paper is used in conjunction with the stamps, and one slides over the other, it appears that the images are moving! So by pulling and pushing the stamped butterflies back and forth, they appear to be fluttering! 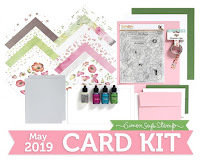 Here's all that is in this month's kit - there's even a set of Crayola markers to use to color the 2 Suzy watercolor cards, and a fun ready-to-use animated gift card slider! Our theme this week is "Showers/Flowers", and we are designing with Prima products. You don't have to use them to enter, but if you do have something of their's, we'd love to see what you do with them! No card today, but for a change I thought I'd share this lovely video instead. I have these recordings by John Rutter, but they are even more meaningful paired with these pictures. Blessings! I woke up last week and decided I wanted to make a flower bouquet in a canning jar. Here is my result. I started by stamping my jar, and then all of the leaves, stems, background flowers and sprigs. Separately I stamped some of the Free Hand Florals, and cut them out, arranging them just above the rim of the jar and in the center of my bouquet. I didn't really plan to fussy-cut this, but after I'd stamped it, I thought it looked too plain against just white, so I added some planking and a gingham table cloth to the background and a twine bow and tag that doubles as my sentiment. 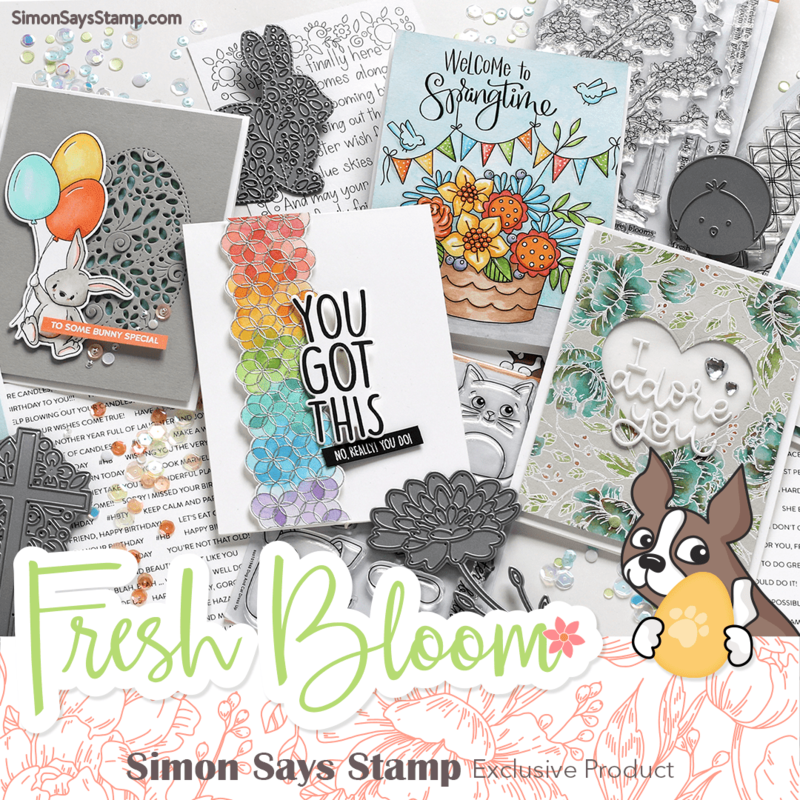 I have another card today to show you a new Tammy Tutterow cling stamp - I swear this whole release has me swooning - hearts and flowers galore! 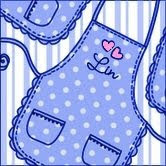 This is part of Tammy bi-weekly post at her blog, where each of her Design Team shares a creation using her products. 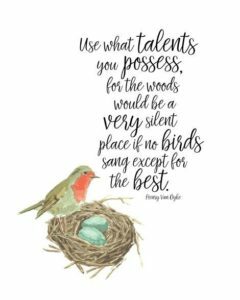 Be sure to visit Tammy's blog to see what amazing projects my team-mates did this time, and to welcome our newest member, Vicki Chrisman! ......and we are playing with Lawn Fawn products! You don't have to use them for your entry, but if you have any, we'd love to see what you do with them! I simply stamped the bicycle on a wonky rectangle, colored it, and then made a little slit in the basket to insert the flowers from the same set. I doodled some grass, and then added the little banner and birds. I thought this plaid paper was a really good match to Jenn's color swatches. The paste was easy to use, and I like the nice glitz it adds. AND the glitter doesn't rub off! This particular color has a purple base and aqua glitter highlights, so I used those same colors in my flower. I added a couple more distress oxide inks to my collection and wanted to have another play with them. I started by sponging my inks onto a piece of Bristol paper. Then I spritzed the panel with water and dried it to blend the colors. Next I took each ink individually, mixed it with water, and splatted each color across the panel with a paint brush. I just received this gorgeous Ornate Frame, and thought it would show off nicely against my panel. For a simple ending, I stamped the sentiment and added some little hearts. These colors are beautiful, blend together effortlessly, and I'd encourage you to give them a try! I have most of my required work done, so now I can play! 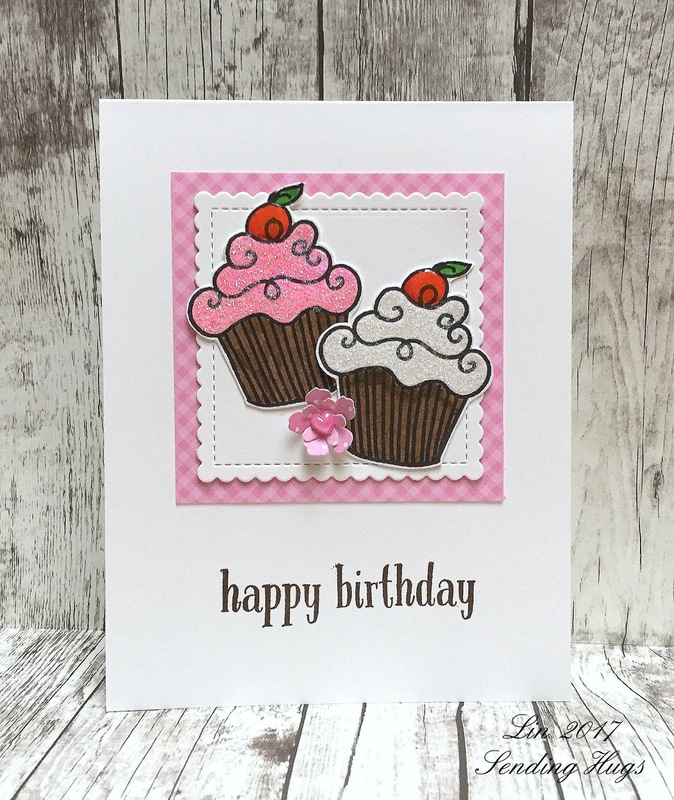 Today I have a very simple card that uses the pretty rose image from a new Simon clear stamp set. Spring is taking longer than I'd like to get here, so I'm making my own here in my craft room! 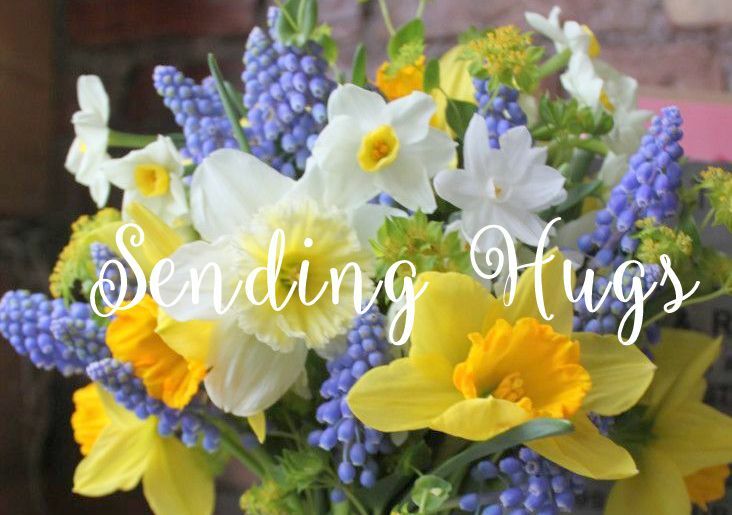 Hope my card brings you a little spring! 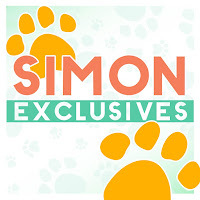 Simon Has a New Release! This particular shade of pink is a favorite of my Mom's, and so that's where I started. I looked through all my paper pads to find a small floral that was the right scale to paper-piece the letters, and unfortunately the one that worked the best is long discontinued. I thought the straight edges needed some feminizing, so I used a scallop die to add some curves. I added some punched hearts to finish my design. You can see all of this new release HERE. What's your favorite? There's a nice mix of cling and clear stamps, dies, some ink cubes, and sequins! 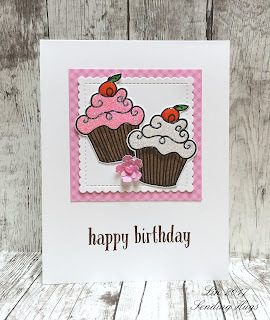 Happy Birthday to the Simon Says Stamp Wednesday Challenge! We are celebrating our 8th birthday this week! 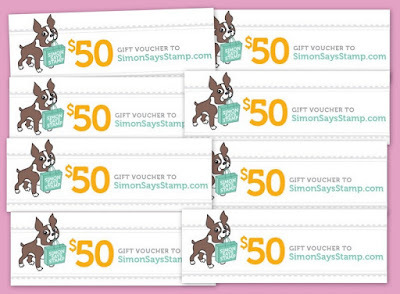 Our theme, of course, is Happy Birthday and we're playing with our own Simon Says Stamp exclusives this week. My flowers were colored and cut out. Then I sponged on some broken china oxide ink in the area where I wanted them to be. Next I stamped my sentiment, and lastly, I added my flowers, popping up the bottom daffodil for some extra dimension. I started by cutting my sentiment, and not removing it from the paper scrap until I had colored the individual letters, using the new Fresh Fruit ink cubes and a finger dauber. After popping out the sentiment, I glued it onto the scalloped pinpoint rectangle. Next I trimmed another piece of cardstock just slightly smaller than an A2 size, and used my diagonal stencil and the same inks to color that. Everything was then layered to my card base, and I added some sequins that matched in the corner of the scalloped piece. 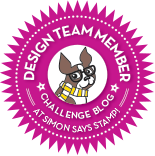 to the amazing Simon Says Stamp store for 8 lucky random winners of this week's challenge! A little birdie told me that it's also Kymona's birthday, so this card does double duty for that, too. Many thanks to the CASology team for having me this week! I blended 2 distress inks through the stencil, overlapping them in the center. Then I arranged my flowers, leaves, and sentiment on top, and popped the panel above a white card base. 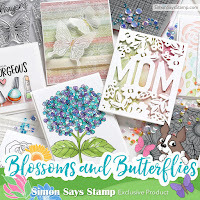 I especially like the way the colors blended for the leaves, using these multi-step stamps!